Black Ink is a cult wine for the masses. With the Halloween season upon us. what better way to celebrate than with a dark, sinister red wine with a dose of a secret component? I imagine a group of old witches standing over the cauldron, debating which ingredient they’ll blend in with this batch of red wine; something obscure that won’t be detected by the human eye, but on the tongue, will be noticed by the finest of pallets. “Why not squid ink?” one of the enchantresses suggests, and the rest is history. Black Ink is a lifestyle brand that is a bit more serious of a wine than competitive brands at this price point. 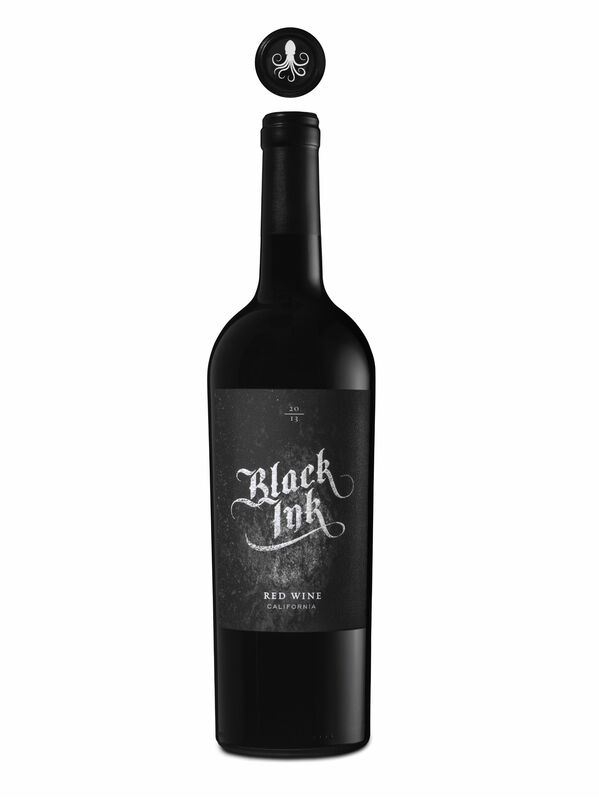 The TGIC Global Fine Wine Company announced the launch of Black Ink, a juicy new red wine blend from California. They wanted to be sure that what’s in the bottle represents the branding, so they went through quite a bit to get the blend to that perfect expression of dark fruit. It’s consumer friendly and tailored to mass and millennial appeal, with less residual sugar than adjacent brands that may come to mind. The idea was born from creating something that represented dark fruit and coloring in the bottle. The squid was chosen because it’s elusive and mysterious. Black Ink is an ode to fantasy through the arts, portraying elegance with an edge. In a celebration of decadence, juicy blackberry cobbler meets smoky licorice with a hint of spice. The capsule is marked with the elusive squid, in a nod to the deep dark red hues within the bottle. Black Ink sketches the basis of a cult wine for the masses. Over-delivering on quality for price, Black Ink is for those with a permanent love affair with red wine. Black Ink launched in September, 2014. Wines are priced at $9.99. If you’re looking for a macabre wine to serve at your Halloween costume party or just something different to celebrate on a dark stormy night, Black Ink is sure to intrigue your guests and if nothing else is a great conversation piece. Founded by Chilean wine visionary, Alex Guarachi, in 1985, TGIC Global Fine Wine Company is committed to representing the best wines of the world. TGIC is a leading importer, marketer and innovator of fine wines, and relies on enduring connections with national suppliers, distributors and retail partners to enrich consumer experiences. TGIC was one of the first importers of Chilean and Argentine wines and today represents brands from around the world. For more information on Black Ink or TGIC Global Fine Wine Company, go to www.tgicwine.com.